Union Jack is a truly authentic English cider made from traditional cider apples grown here in Oregon, cold fermented over months and aged for over a year. 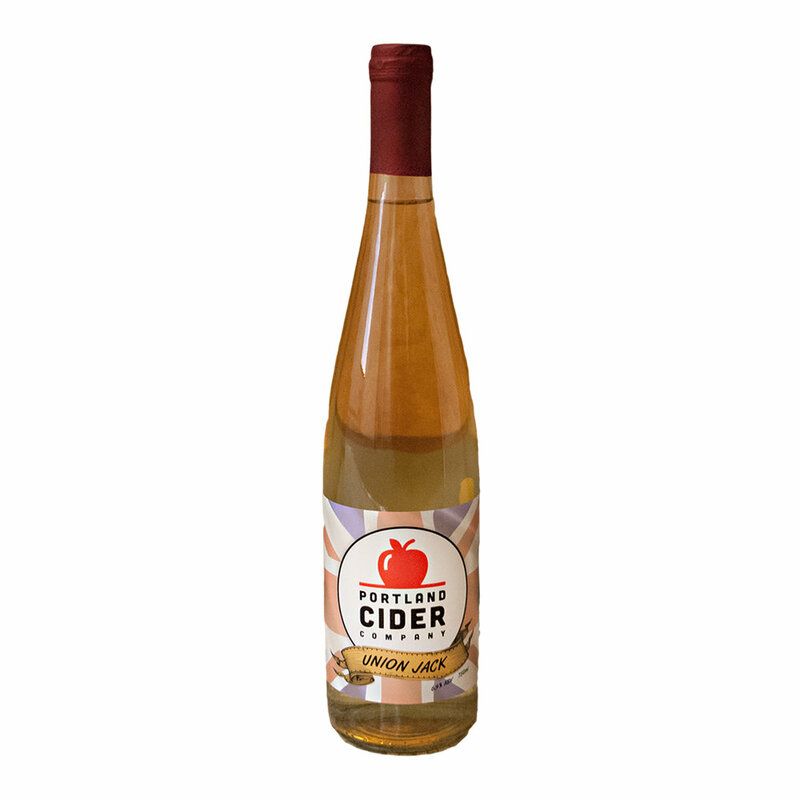 This still, dry cider is a balanced, complex array of fruit flavors with soft tannins that compliment, and not over power, giving it a rich body and dry finish. Available in 750ml bottles only. Available for 6oz pours exclusively at the Clackamas Taproom + Cidery, or as a choice instead of Scrumpy in an Imperial Flight. Very limited distribution of bottles to bottle shops and independent grocery in the Portland Metro area.